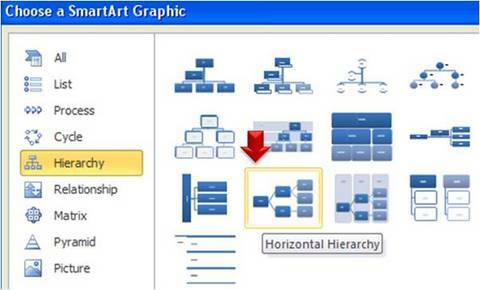 Use Hierarchy Tool inbuilt in SmartArt for brainstorming your business presentations or business ideas. 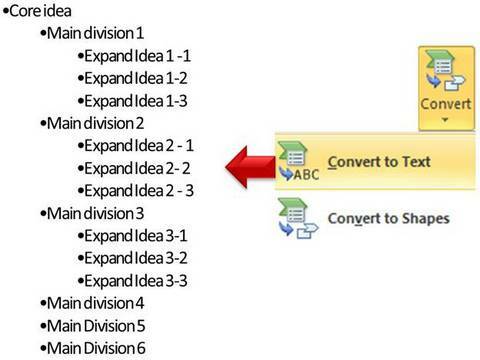 Save results in convenient formats to email to participants. 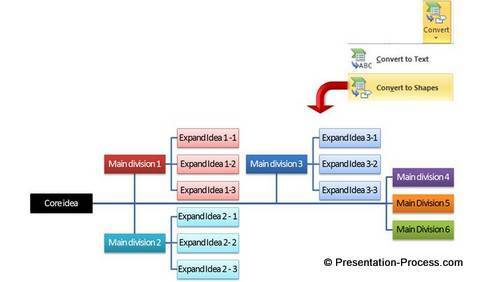 Why use SmartArt Hierarchy tool for brainstorming? Let us see how to use the tool effectively. 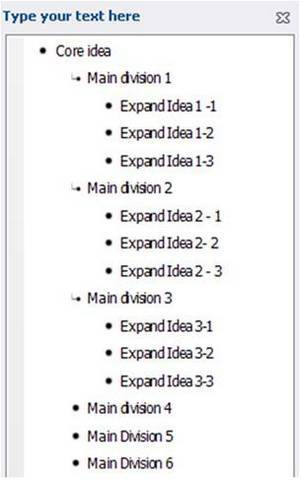 Horizontal hierarchy is far more space efficient than the usual ‘Organizational Chart’ tool. The next step is to invite participation for the next level ideas. Go to ‘Main ideas’ and press ‘Tab’ to enter your sub-ideas. To enter more sub-ideas just press ‘Enter’ key. The best part is – you can add your new ideas to any of the ‘Main ideas’ at any point of time. The map will automatically accommodate your new ideas. To move ideas from one node to another, you just need to ‘cut’ the relevant text under one section and ‘paste’ it to another. 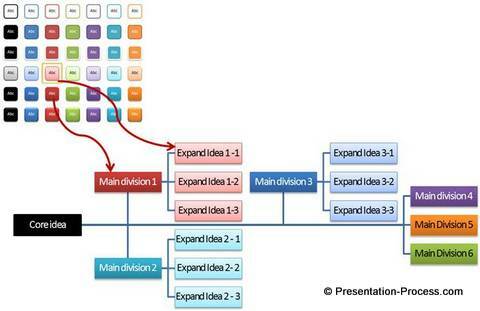 This helps you organize thoughts in logical groups. You can find ‘Quick styles’ under ‘Format’ tab in PowerPoint ribbon. You can use these points later to build your presentation. You can use the inbuilt tools in PowerPoint for various creative outcomes. 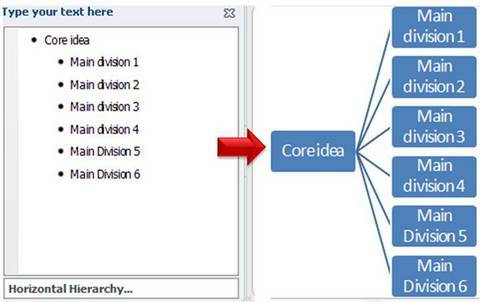 If you liked this article on using SmartArt hierarchy tool, please go through our articles and share them with your friends.